In David Grann’s 2003 New Yorker profile of bank robber Forrest Tucker, he describes the moment before the charismatic 78-year-old was captured by a sheriff during a high-speed chase. “The white-haired figure barreling toward him seemed to be smiling, as if he were enjoying the showdown.” That sense of joy was as characteristic to Tucker as his knack for effortless heists and prison escapes. 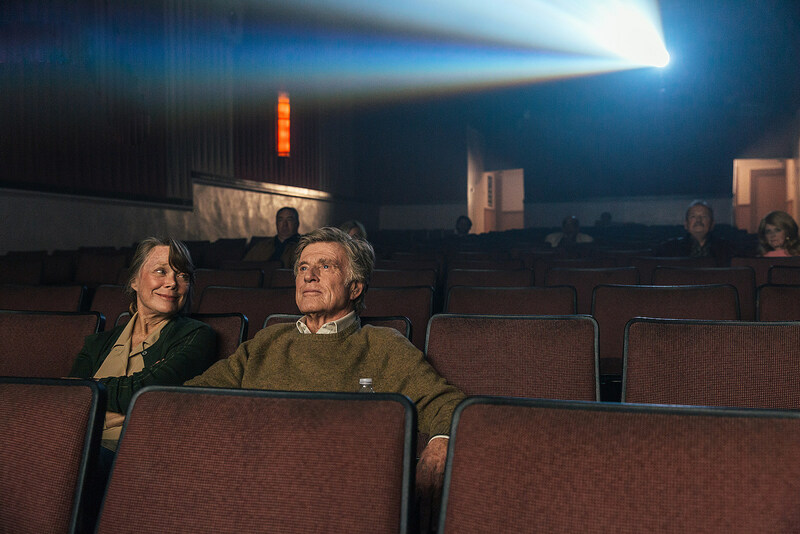 In David Lowery’s infectiously warm, funny, and endearing The Old Man & the Gun, Robert Redford – in what’s expected to be his final role – portrays the elderly stickup man with brilliant, radiant charm. He smiles the whole way through the movie, and you can’t help but grin right back. The latest film from the director of A Ghost Story is based on Grann’s profile, which details the almost-too-crazy-to-be-true story of the lifelong criminal who first went to jail for stealing a bike at age 15. For the rest of his life well into his 70s, Tucker robbed banks, went to prison, broke out of prison, and started the cycle all over again – he escaped incarceration a total of 18 times, including a break-out from Alcatraz. Tucker spent 60 years breaking and escaping the law, Redford spent 60 acting on the stage and screen, and with The Old Man & the Gun, Lowery pays tribute to both men’s lives. It’s a lovingly send-off to the old Sundance Kid, and a playful portrait of a mysterious man who seemed to be at his most alive when duping the legal system. A winsome Wes Anderson-like montage in the final act recounts Tucker’s break-out history while saluting Redford’s past roles, and while that could come off cheesy and forced in many filmmaker’s hands, here it just works. It may sound odd to celebrate the life of a criminal, but just wait till you meet Redford as Forrest. Shot on dreamy Super 16 by cinematographer Joe Anderson, the film opens in 1981 with Forrest dressed in a snazzy midnight blue suit and brown fedora, doing what he does best: smoothly escaping cops after a bank heist. There’s no casualties, no gunshots, and no violence or aggression whatsoever; just some good old-fashioned courtesy. “He was sort of a gentleman,” one just-robbed bank manager tells the police with a touch of admiration, as if he’s talking about a sweet old grandpa who offered him a lift in the rain, not a lifelong outlaw. We see that style in action when a cute montage shows him and his two grey-haired partners-in-crime Teddy (a quiet Danny Glover) and Waller (an excellent Tom Waits who tells a hilarious Christmas anecdote) draining one bank after another as they travel from state to state. Forrest walks into a branch with confidence, flashes his gun under his coat – he doesn’t even hold it or point it, and never threatens to shoot it – then flashes a smile, and the cash falls effortlessly into his briefcase. “He just seemed so ... happy,” one young teller says to Casey Affleck’s detective John Hunt investigating the robberies. John (well played by Affleck, who is attempting to reestablish himself after sexual misconduct allegations) is an over-worked cop who contemplates turning in his badge to spend more time with his family (including his wife, played by a very good Tika Sumpter) but he’s too determined to catch Forrest. Tucker’s story would be the ideal material for a gritty and violent crime thriller, but The Old Man & the Gun is the furthest thing from that. Lowery’s approach here is closer to his gentle and affectionate Pete’s Dragon. Though it has some of the dreamy romanticism of Ain’t Them Bodies Saints, it’s sweeter and more carefree, especially with regard to the love story between Forrest and Jewel. Redford and Spacek spend the movie sitting in diner booths flirting, chatting on the phone moments before his next heist (unbeknownst to her), and chuckling on a porch. These two are so charming together I found myself wishing their scenes would never end. They might just share my favorite movie romance of the year. 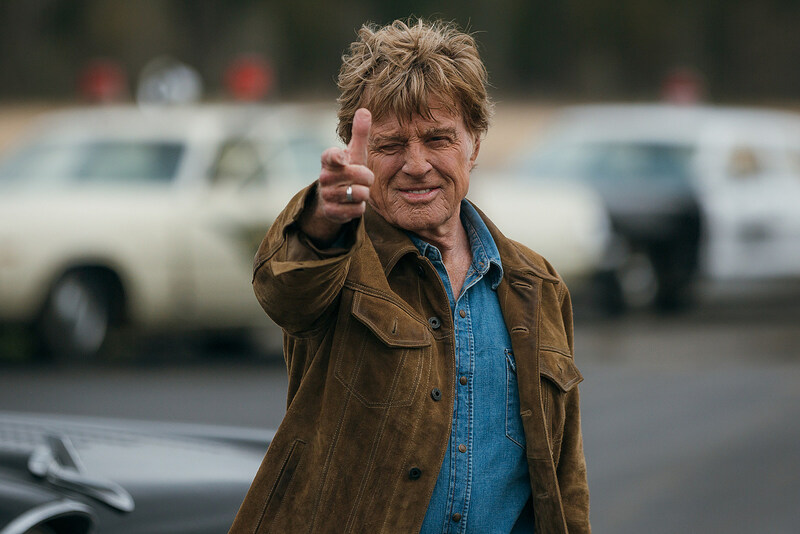 While The Old Man & the Gun may be too cutesy for some, I found it refreshing to watch Redford clearly having a blast playing one final role and tipping his hat to his previous ones, and to see Lowery let loose for a change. The Old Man & the Gun further proves he is one of the most talented and consistently impressive filmmakers of the moment; he can find the poetry in a life of crime, make you weep over a CG dragon, evoke existential questions with a wordless man beneath a sheet, and make you fall in love with an aging escape artist. If Redford really is done for good, this is a perfect way for him to say goodbye.